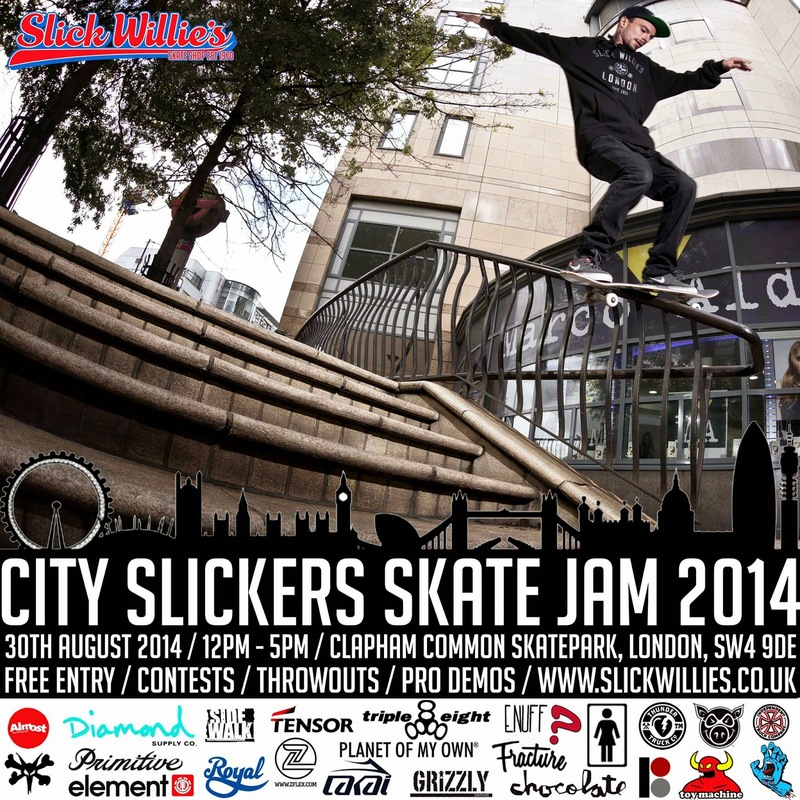 Enuff Skateboards: Slick Willies Presents "City Slickers Skate Jam 2014"
Slick Willies Presents "City Slickers Skate Jam 2014"
Enuff are pleased to be supporting the City Slickers Skate Jam 2014, presented by Slick Willies Skate Shop. With £1,500 of product prizes for the skate jam as well as cash prizes for best tricks on the day, it's not an event you'd want to miss. Check out the official event page for more info.